This image I made of a very popular location here in Marin County, California, generated a lot of online feedback. Because I used such a variety of post-processing tools and techniques, I thought it would be an interesting exercise to explain the workflow here. This presentation is an experiment and I look forward to hearing what you think of this format, particularly compared to screencasts and videos. The slideshow below contains an image for each step in my process. If you hover over it you can pause it or move it forward or back. Below the slideshow is a scrolling area with the corresponding explanations. Click on any image to see it 2x larger. It should work on your mobile devices, too. Original. 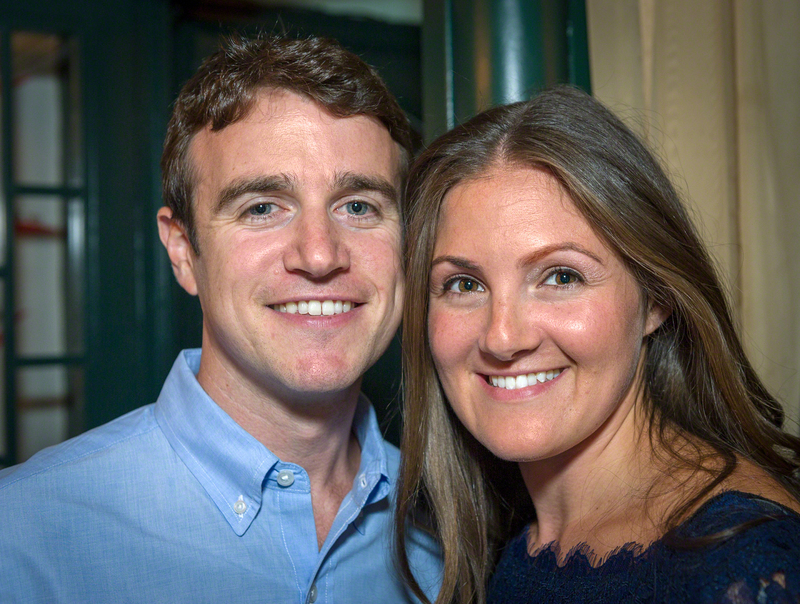 This is the original image, converted without adjustment from a RAW file. Fujifilm X-E1, ISO 400, XF 18-55mm f/2.8-4 R LM OIS, 1/640 second, 55mm, f/5.6. ACR Basics. My preliminary work in Lightroom or Adobe Camera Raw is just to correct for lens distortion and to map the medium dynamic range RAW file down to the low dynamic range 16-bit image that is used in Photoshop. Here I reduce contrast and recover as much shadow and highlight detail as I can coax out of the RAW file. My goal is to end up with a low-contrast flat image. Endpoints. The previous step typically yields weak blacks and highlights. Now in Photoshop, I start by spreading the luminosity of the image across the entire dynamic range using a curves adjustment layer to set blacks about RGB=2 and whites at RGB=253. I skipped white-balance correction for this image because I knew I was going to B&W, but this is the point at which I would do that for a color image. B&W Conversion. I created a SmartObject copy and used Nik’s Silver Efex Pro 2 for the conversion to monochrome. With a more colorful original I typically start by adjusting the color sliders to control each color’s contribution to the b&w version, but in this case I made no global adjustments (color, contrast, brightness, structure, etc.) at all. Instead, I used about a dozen control points in the dark areas of the treetops to bring out some detail there. I also reduced brightness and increased the contrast of the building at the end of the road. I could have done these later, back in Photoshop (I did, in fact), but it seemed like a good time to deal with these issues. Levels. I’ll often drop in a levels adjustment layer to keep the white/black endpoints under control. Here I also increased the overall contrast after the b&w conversion. Dodge/Burn Roadway. I didn’t like the lightness of the road. I thought it attracted too much attention to itself rather than supporting the overall composition of the image. (You can switch back and forth between 5 and 6 to make up your own mind.) I also thought the splotchiness from shadows on the asphalt were distracting because they broke up the continuous flow of the roadway’s leading lines. This was a complex step using two curves adjustment layers and luminosity painting, a technique I learned from Tony Kuyper. One curves adjustment layer darkens (burns) the roadway and the leaves near the trees. The second curves layer lightens (dodges) a strip between those areas. The overall effect is to darken and even-out the roadway while increasing the contrast and strength of the lines leading to the building at the end of the road. Once I was done, I decided it was too strong, so I backed off the opacity of the two grouped layers to 78%. The advantage of using luminosity painting or a luminosity mask when dodging and burning is that you can retain and even increase contrast/detail in those areas. Mid-tone Contrast. So much of this image is in the mid-tones, so I brought out a bit more using a curves adjustment layer with a Basic Midtones luminosity mask. Dodge/Burn Trees. The light here was beautiful but unusual. Because of overcast skies and the dark canopy of trees, the trunks are actually getting side light from both sides. I wanted to increase the tunnel effect, so I didn’t want too much light on the insides of the tree trunks, particularly in the foreground. That one tree in the left foreground almost looked like it was hit with a strobe. (Compare to step 7.) As with the roadway (in step 6) I used two curves adjustment layers and painted with brushes loaded with luminosity mask selections. This is another good stage to compare, back and forth, with the previous one. It may look like I’m removing contrast and focus from the left and right sides of the frame, which is true. But I’m doing so to focus the viewer’s attention on the center. The Building. Although it’s not realistic — an overcast sky is almost always the brightest part of an image — I wanted the building at the end of the tunnel to be slightly brighter than the sky. Here I used a curves adjustment layer with an edited luminosity mask to brighten and increase the contrast of the building. After tweaking, I reduced the opacity of this layer to 39%. The Sky. To complete the effect above, I used another luminosity mask and a curves adjustment layer to darken the sky to just below the level of the building. I ended up weakening this effect too, backing off the opacity to 62%. Vignette. I wanted to darken selected areas, particularly around the periphery, so I painted with a very weak black brush into a new layer in Soft Light blend mode. Opacity 41%. I didn’t use a luminosity mask here because I didn’t want to maintain or enhance the contrast or detail. Touch-Ups. I should have done this much earlier in the process, but there were a few bright objects in the close foreground and on the roadway that were driving me crazy. I used a new layer and a combination of the Clone Stamp and Healing Brush tools to get rid of them. It’s hard to see unless you toggle between images 11 and 12 and look closely, primarily at the lower-left corner. I always use these tools in a separate layer because they’re then non-destructive and I can use the Eraser tool on them. PPW Sharpening. I frequently use the Sharpen 2013 action from Dan Margulis’ Picture Postcard Workflow, version 3.3. In fact, many of the steps in this workflow I learned from Dan. I ran the sharpening action on a copy of the image, flattened that image, then copied it back to a new layer in the original image. Rather then adjust the sharpening in that second (temporary) image, I often just keep the defaults and copy it back at full/normal strength. I then reduce the effect selectively with a layer mask or (in this case) globally by reducing the opacity of this layer to 45% to avoid over sharpening. The advantage of doing it this way is that since I don’t make any changes to the output of Dan’s action, I can re-create it at any time. Levels (2nd). After so many adjustments, the white & black points are often off, so I use another levels adjustment layer and the Auto button to bring things back into line. Warm Black. I decided the image was too cool, so I used an action I developed that warms the shadows (a gradient with black as r=9, g=4, b=0). I backed it off to an opacity of 75%. Original Color. After warming the image, I decided I wanted to see just a hint of the original color: the green in the treetops and some additional warmth in the leaves along the roadside. I added a new layer with a copy of the original image at 20% opacity in the Color blend mode. The effect is very subtle. Darken. After that warming and color, the image was too light for the effect I was looking for, so I used an unmasked curves adjustment layer to darken the image overall without affecting the endpoints. Global ACR Tweaks. At the very end, I wanted to add a bit of local contrast and crunchiness, so I created a merged copy, converted it to a SmartObject, then ran Adobe Camera Raw as a filter with the following global adjustments: Exposure=+0.15, Contrast=+6, Highlights=-31, Shadows=+71, Whites=+17, Blacks=+1, Clarity=+20 and Vibrance=+29 (for color). This last step really brought the image to life with a bit of that Halloween feeling I was going for. Inspired by the great work of Tony Kuyper and Mark Lindsay plus the video tutorials by Sean Bagshaw, I’ve just posted this 14-minute tutorial on how to use my new free Photoshop actions to enhance the 1/4- and 3/4-tone portions of your images. Last week we started an Advanced Photoshop SIG (special-interest group) at our local photo club. Based on a survey of our members, I chose Blend Modes as the topic for our first meeting. Here’s a cleaned-up version of the notes I used in preparation. For example, here’s the above image in Overlay mode over another image. 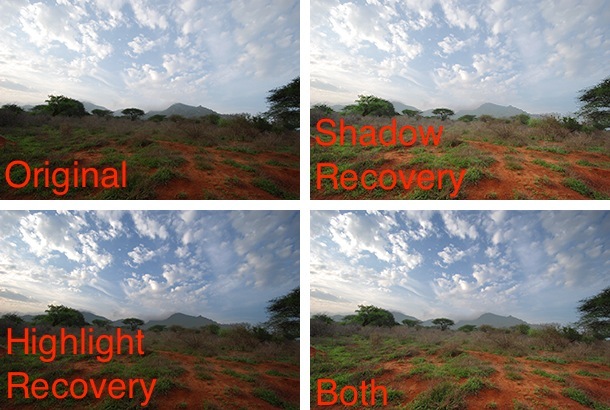 Note that in this mode, black darkens the image, white lightens the underlying image and 50% gray causes no change. Also check out Robert Thomas’ Photoshop Blend Modes Explained. Lee Varis has a free video on Layer Modes Blending Options. Corey Barker has a complete series of lessons on Mastering Blend Modes (Kelby Training, $$). Channel Power Tools from Roberto Bigano is a handy Photoshop plugin I use to see and apply any of the RGB/Lab/CMYK channels to layers and masks (20€). Also check out the video tutorials there by Giuliana Abbiati. Scrolling Through the Blend Modes: Select the layer you want to change in the Layers palette. Select the Move tool. Use Shift- and Shift+ to scroll through all the blend modes and see their effects. Dodging: Duplicate the image, set to Screen mode, add a black mask and paint on the mask with 20% opacity white. Better Dodging (Levels Adjustment Layer Trick): Duplicating your image in a new layer substantially increases the size of your .psd file, so instead of the above, try dodging this way: Add a Levels adjustment layer set to Screen mode. Paint 20% white on a black mask. Just as easy as above, but your layered files will be smaller. Burning: Add a Levels adjustment layer set to Multiply mode, paint on a black mask with 20% white. Even Simpler Dodge & Burn: All of the above are just experiments to show various options, but perhaps the best way to dodge and burn is to create a new blank layer set to Overlay mode, but don’t change the levels. (It’s just a dummy adjustment layer.) Paint with 20% white to dodge and 20% black to burn. Your file size will be small and the technique is totally non-destructive and reversible. You can erase your adjustments using the Eraser tool or a brush set to 50% gray color. Gradient in a Layer Style: Don’t create a new layer. In the image layer, open the Layer Styles dialog (fx icon at the bottom of the Layers palette or just double-click in the blank space to the right of the layer’s title). Select the Gradient Overlay and (!) check the box. Select a black-to-white gradient (click the Reverse checkbox if necessary), set the gradient style to Linear. Play with Scale and Angle. 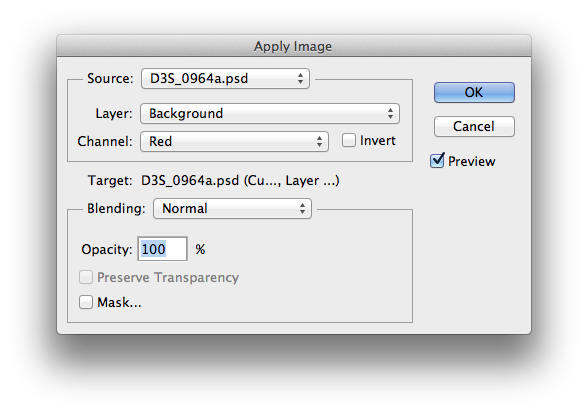 Then switch the blend mode (of the gradient, not the layer) to Overlay and adjust opacity. Note that you can drag the gradient in your image area to reposition it! Now you have a non-destructive, changeable gradient tool. Vignette in a Layer Style: Like above, but use a black-to-transparent gradient instead of black-to-white and the Radial gradient style. Experiment with the Overlay vs. Soft Light blend modes and the opacity. Unlike Lightroom you can’t change the squareness/roundness of the vignette, but that’s outweighed in some cases by that fact that you can reposition it. 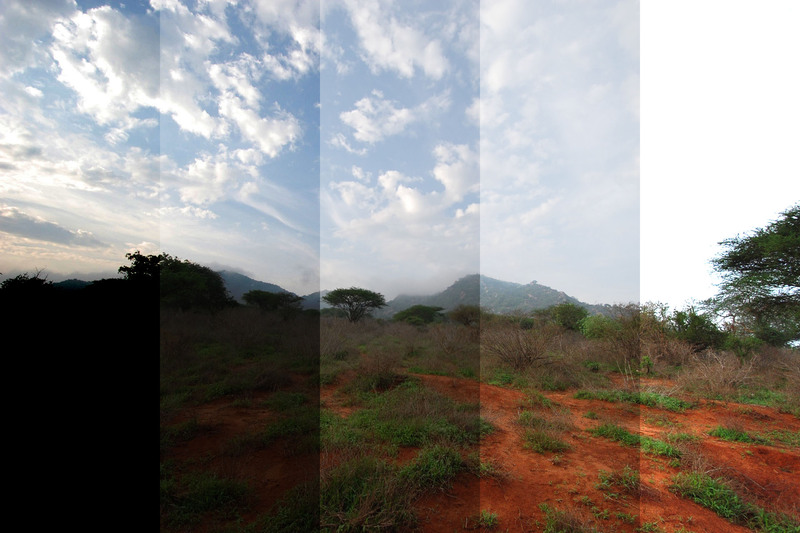 Increase Luminosity Contrast: Duplicate the layer, set to Overlay blend mode and adjust the opacity. Works, but it pushes the lights and darks to extremes. Better Way to Increase Luminosity Contrast: Duplicate the layer, from the menus select Image->Adjustments->Desaturate. Change the blend mode to Luminosity and adjust the opacity. You can also use a curves adjustment (to this layer only) to increase the contrast of the desaturated image and even use a mask to selectively add contrast in only certain areas of your image. Even Better Way to Increase Luminosity Contrast: Use the Channel Power Tools plugin (see above) to preview all ten channels (RGB/Lab/CMYK). Select the channel that shows the most contrast in the desired portion of your image. Create a new layer and use CPT to apply the selected channel to that layer. (Or use Image->Apply Image… from the menu.) 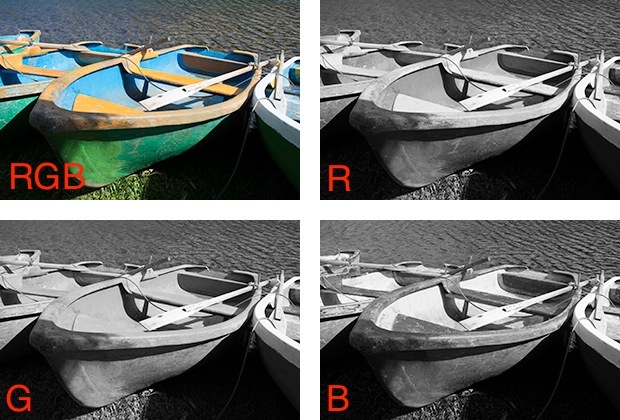 Select Image->Auto Contrast if necessary to quickly get a contrasty version, particularly if you selected either the Lab “a” or “b” low-contrast channel. Set the blend mode to Luminosity and adjust the opacity. Again, you can apply a Curves or Brightness/Contrast adjustment and a mask as above. High-Pass Sharpening: Duplicate the layer. Select Filter->Other->High Pass… from the menu. Adjust the radius to define edges. Use a curves layer or Image->Auto Contrast or a Brightness/Contrast adjustment layer to increase the contrast, then set the blend mode to Overlay, then adjust the opacity. I hope you find some of these techniques useful and that they help you understand the power of blend modes in Photoshop. Feel free to leave your feedback here.